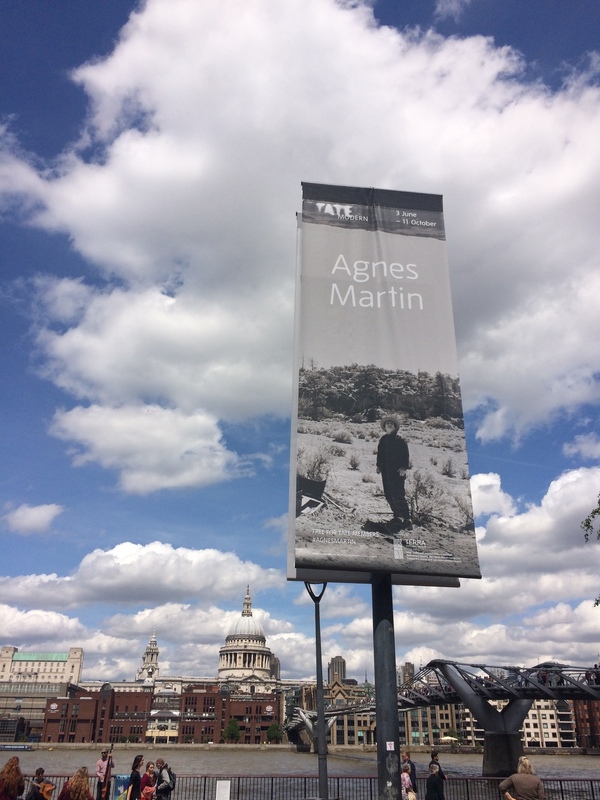 Agnes Martin is generally known as a desert artist. The Tate Modern, where the first major retrospective of her art in years is on show (through 11 October), emphasizes her time spent in the American Southwest - and especially in land-locked New Mexico. But throughout her career Martin named work simply Islands - and this was often at pivotal moments. Through her Islands one traces Martin's movement away from figuration, to line and to void and ultimately to the stunning 12-piece series you may have seen in the mid-2000s, when it was shown in the US and in Germany, or which you can presently see in London. And then there is a reason her works are described in terms of their washes, patterns and luminous quality that seems to transcend the media from which she built them. They move and sparkle in grids utterly contrary to their borders, like complicated water - like the Thames outside the museum building, like the sea. Martin's 1979 Islands series at the Joseph Albers Museum in Bottrop, Germany. In my best moments I think “Life has passed me by” and I am content. Walking seems to cover time and space but in reality we are always just where we started. I walk but in reality I am hand in hand hand with contentment on my own doorstep. Beauty illustrates happiness; the wind in the grass, the glistening waves following each other, the flight of birds, all speak of happiness. The clear blue sky illustrates a different kind of happiness and the soft dark night a different kind. There are an infinite number of different kinds of happiness… Happiness is being on the beam with life - to feel the pull of life. With many thanks to my brilliant friend Audrey for sending me a copy of this beautiful book several years ago.